Unable to turn his head to the right, the three-time major champion couldn’t align himself properly on the greens and confessed that it was a bitterly disappointing day for him considering how well he had prepared. “I nearly pulled out before I started,” Harrington said. “I haven’t even come close to swinging the club. I was wondering if I should pull out, but I wouldn’t. That’s just my nature. I would always have a go. But it wasn’t much fun. The Dubliner was five over with five to play but birdied the 15th and 16th before taking a double bogey six at the card 77 for the fourth time at Augusta, equalling his worst score. Asked if he would battle on , Harrington said: “I could say ‘no’ right now but knowing me, I would never fail to finish a round of golf. I take some pride in that. The Dubliner had high hopes of challenging for the title but now knows that the dream is over for another year. Harrington has been plagued by a disc bulge on the C5 vertebrae for many years, famously suffering in the 2002 US PGA at Hazeltine when he needed treatment on the course just to get through the first round. He almost didn’t make it to the first tee but while he had treatment before the start, he didn’t take any painkillers and suffered badly. Explaining what happened, he said: “I swing left‑handed when I’m warming up before I hit shots. And I probably, I’ll keep swinging left‑handed, but I won’t swing as hard next time. “I went back in for treatment and I didn’t get a warm‑up really at all. I spent about two minutes on the putting green and I really couldn’t do my warm‑up at all because I had to get back out and get treatment and all that. “I didn’t take any pain killers. I was hoping it would go away but it actually got worse on the course. Maybe I should have taken the pain killers. There you go. It didn’t cross my mind. Harrington birdied the tough par-four fifth but bogeyed the sixth and the double bogeyed the seventh after a visit to the trees on the right and a bunker with his third. He turned in two over 38 and then bogyed the 11th, 12th and 13th to slip to five over. But while he rallied with birdies at the 15th and 16th he closed with a double bogey six at the last. The revision to Decision 33-7/4.5 addresses the situation where a player is not aware he has breached a Rule because of facts that he did not know and could not reasonably have discovered prior to returning his score card. Under this revised decision and at the discretion of the Committee, the player still receives the penalty associated with the breach of the underlying Rule, but is not disqualified. In revising the decision, The R&A and the USGA confirm that the disqualification penalty still applies for score card breaches that arise from ignorance of the Rules of Golf. As such, this decision reinforces that it is still the responsibility of the player to know the Rules, while recognizing that there may be some rare situations where it is reasonable that a player is unaware of the factual circumstances of a breach. 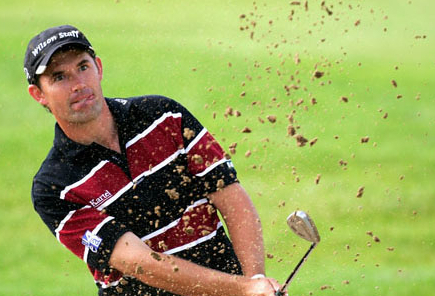 Harrington was disqualified after an opening 65 in Abu Dhabi in January. He had already signed his scorecard when a television viewer raised the issue of his ball moving as he marked it on a green - and because of that the punishment could not just be a two-stroke penalty. Harrington said: “It’s only in the case where a player could not have been aware, so it’s, you know, it’s hard to see. You know what? I would say we could wait a lifetime before we see another instance exactly like that one.